We will be blessed on to have the opportunity to experience a prayer labyrinth that will be installed on the third floor. 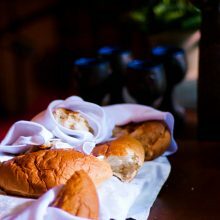 The labryinth, which will be on a generous loan from our brothers and sisters at Trinity Episcopal Church, will be a part of services for Maundy Thursday, April 18 (6-8pm) and Good Friday, April 19 (5-7) . In ancient times, it was not always safe to travel to the Holy Land. 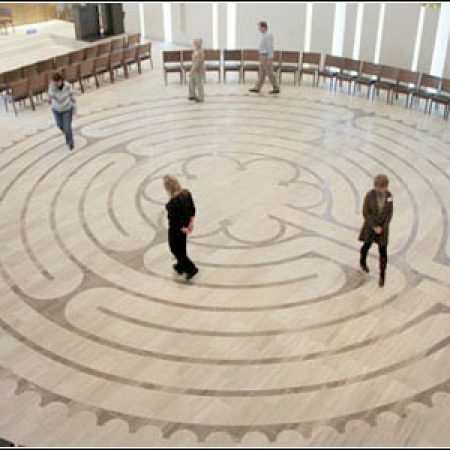 So people of faith created their own “pilgrimage” with prayer labyrinths, which were often installed in the floors of churches. A labyrinth is not a maze, but rather a set path with only one way in and one way out. You will enter the labyrinth and pray as you follow the path that is before you without seeing the whole route. The center of the labyrinth represents God and the path is our own spiritual pilgrimage, sometimes getting close to God, sometimes feeling far away, and never really know where the path will take us. 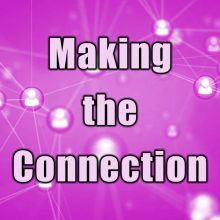 After spending time in the center, you journey back out into the world. This candle-lit prayer labyrinth will be one of several reflective “stations” in which you can participate on Maundy Thursday, April 18 (6-8pm) and for two hours prior to the Good Friday service on April 19th. Hosts will be available to assist you and you should allow approximately 30 minutes for this very special prayer walk.